I’ve got several football lovers in my house, so football is on our TV a lot, especially since we are heading into the NFL playoffs. Who are you watching the big games with? Whether you are hosting a game day party or just watching with your family at home, football games require tailgating food of course! 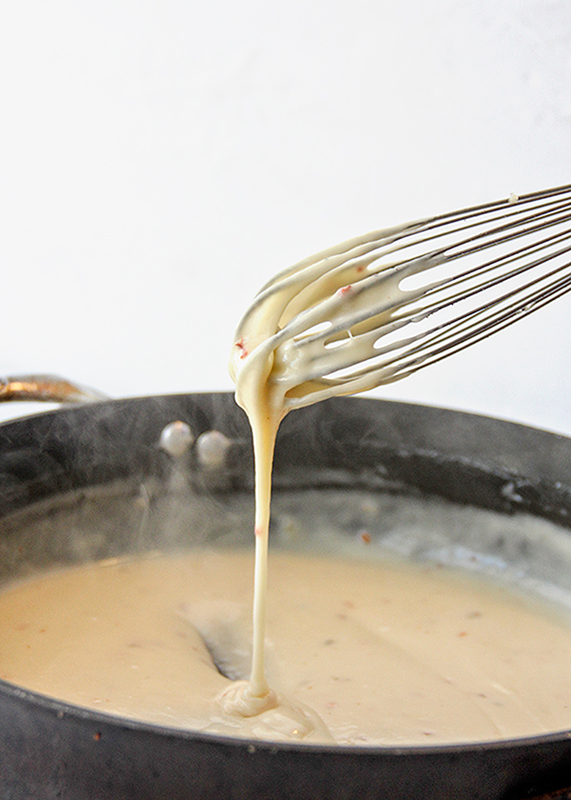 I have a super simple game day recipe for you! I picked up a few Old El Paso™ and Budweiser® products at my local Walmart to make these Game Day Mini Beef Burrito Bowls with Beer Cheese Sauce. 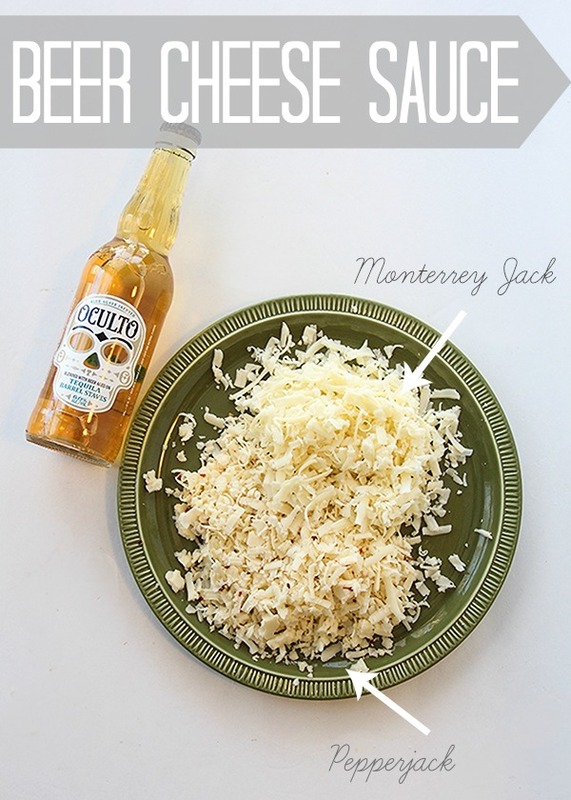 The beef is slow cooked in beer and the beer cheese sauce includes this Oculto Blue Agave Infused beer! I try to use my slow cooker whenever I can because the easier the recipe the better. The beef roast is slow cooked in Oculto and Old El Paso™ taco seasoning all day so it’s nice and tender for your mini burrito bowls. You can even pre-make this the day before the big game if you want to simplify game-day prep. 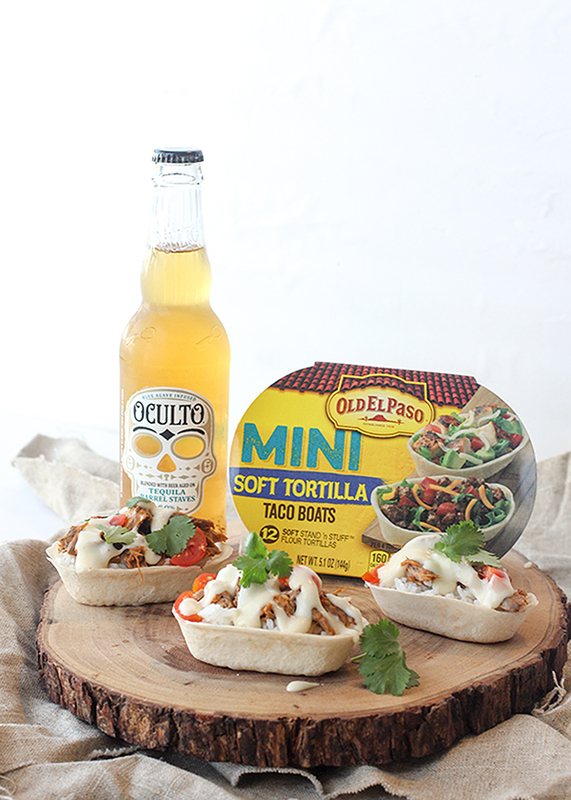 Old El Paso™ Mini soft tortilla taco boats make the perfect bite-sized burrito bowl to hold all that cheesy and beefy goodness. Get game-day ready with these recipes! Place the beef chuck roast in the slow cooker and sprinkle the taco seasoning over the top. Add the bottle of Oculto to the slow cooker. Cook on low 6-8 hours. In a saucepan over medium heat, melt the butter. Add the flour and cornstarch and wish together about 2 minutes. Add in the shredded cheeses and whisk until combined. Add the beer, milk, salt and pepper and whisk until boiling and cook about 3 minutes more until thickened. 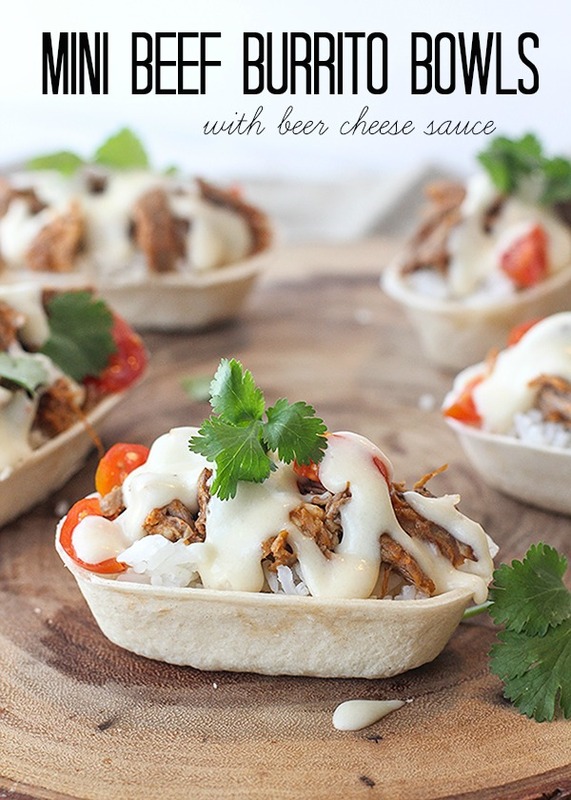 Place your cooked rice in the mini tortilla taco boats, top with the beef, beer cheese and your preferred toppings. These look amazing and that sauce looks so good! Oh man these bowls look so darn good. Perfect meal.